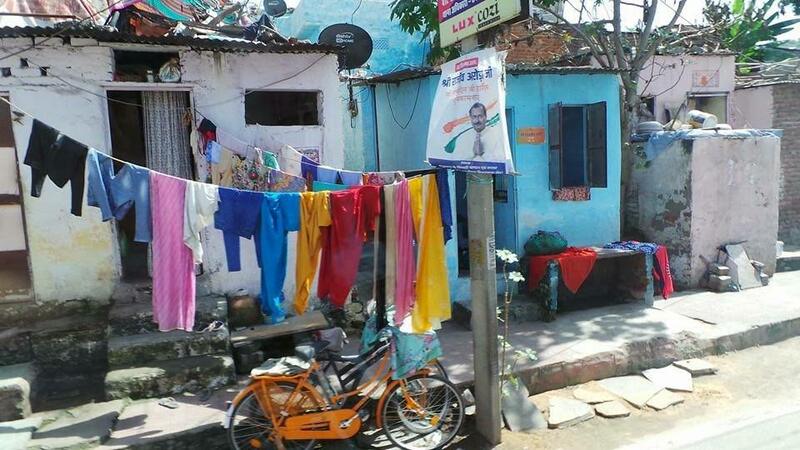 I’m still coming down from the wonderful trip to India that I’ve just returned from, a real bucket list experience. 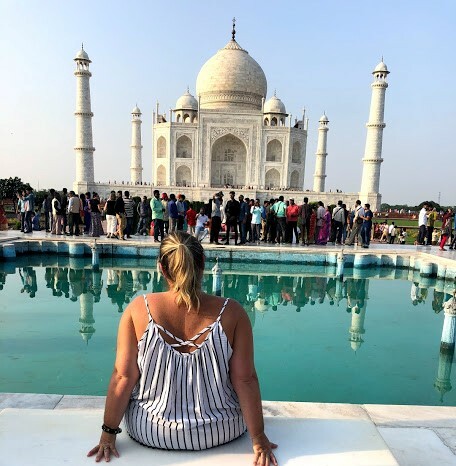 I’ve visited Goa on holiday many moons ago and my parents had visited Kerala and loved it but I really wanted to visit the real India and the offer to explore the Golden Triangle was just the ticket. 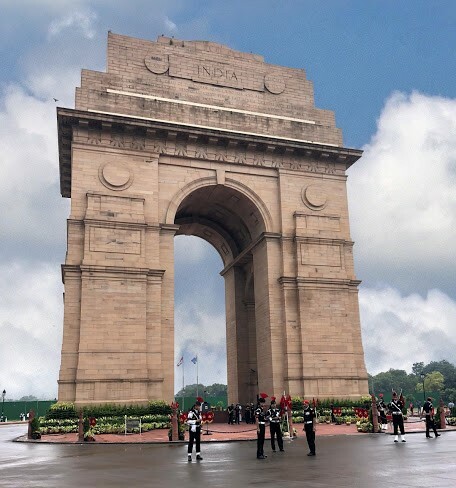 Our first two nights were spent in Delhi. In Old Delhi we got to visit the Jama Mosque before a cycle rickshaw ride through the streets of old Delhi visiting the spice market on the way. 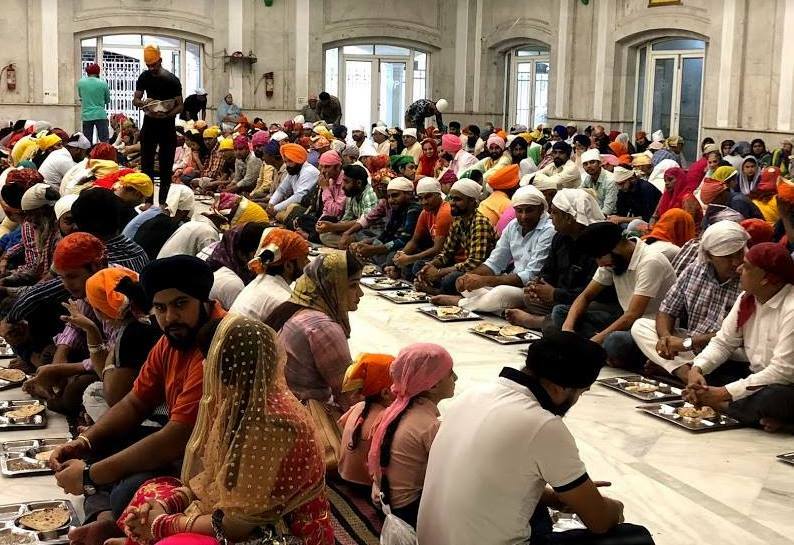 We also visited the Gurudwara Bangla Sahib which is one of Indias most prominent places of worship where they daily feed up to 10,000 people per day, you can even join in making japati’s…..
We also visited New Delhi, an area that was built in typically British style with colonial bungalows built down tree-lined boulevards with a stop for photos at India Gate which stands at 42mtrs and commemorates India’s soldiers that died during World War 1 and houses an eternal flame. Lunch was taken at the Maidens Hotel established in 1903 its a heritage hotel that takes you back to the golden days of the British Empire and was the place to be seen by the rich, famous and titled. 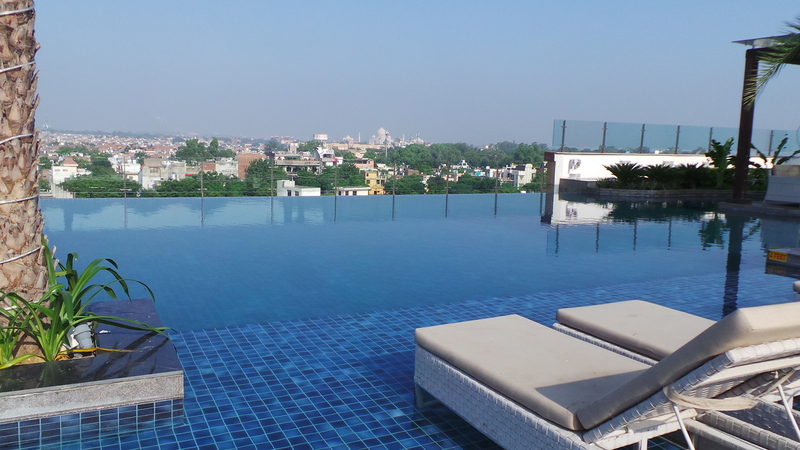 The next day we left Delhi for the drive to Agra, where we checked in to the wonderful Radisson Blu Plaza, this hotel has an amazing rooftop pool with incredible views over the Taj Mahal, most people only stay one night in Agra but if you want to have a slightly slower trip then spending two nights at this hotel is seriously recommended. 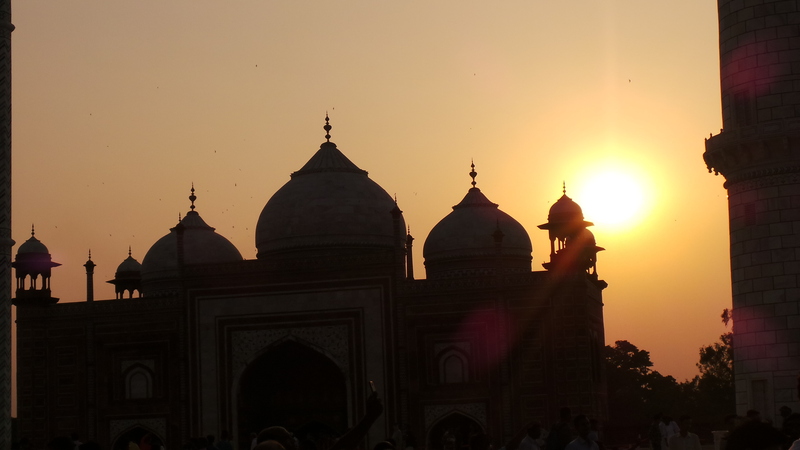 After lunch we headed out to visit the Taj Mahal, we had decided that we would like to be there for sunset. The Taj Mahal is probably the most well known monument of love in the world, built by the Mughal Emperor Shah Jahan after his promise to his favourite wife’s dying wish, that he should ‘build a tomb in her memory such as the world had never seen before’. Built in white marble and is even more stunning when you see it than any photographs you may see. 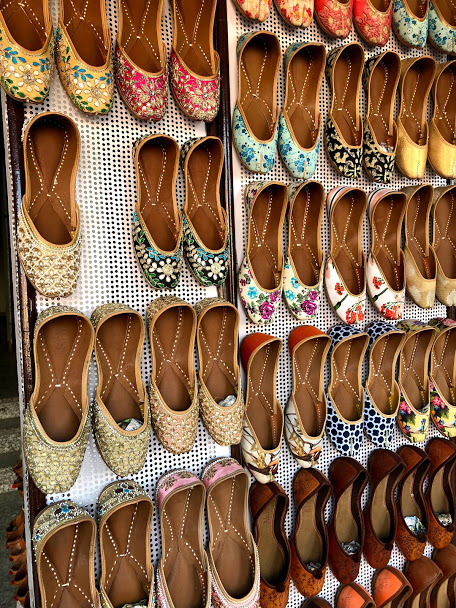 The next day before leaving Agra we head to the Agra Fort, this UNESCO World Heritage site was the main residence of the emperors of the Mughal Dynasty until 1638, when the capital was shifted from Agra to Delhi. 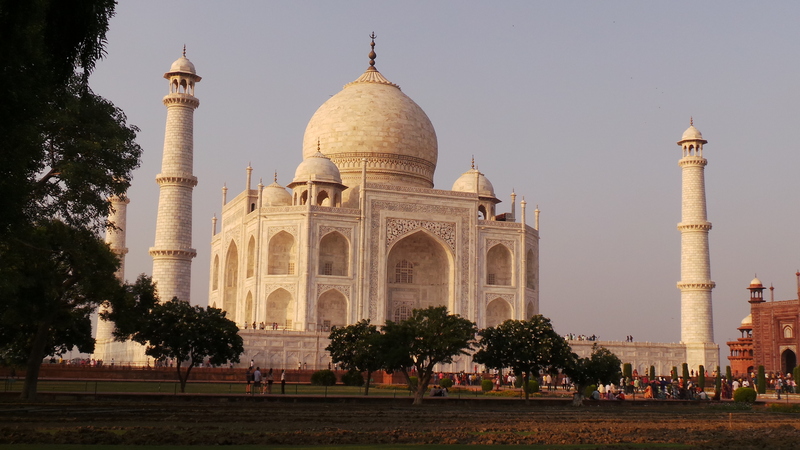 It is situated about 2.5 km northwest of its more famous sister monument, the Taj Mahal. 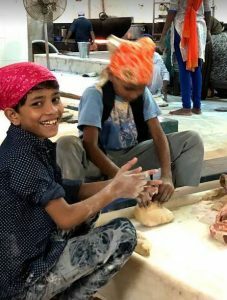 We then drove through towns and villages to Jaipur, Rajastan’s capital, known as the Pink City because of the colour of many of its buildings. 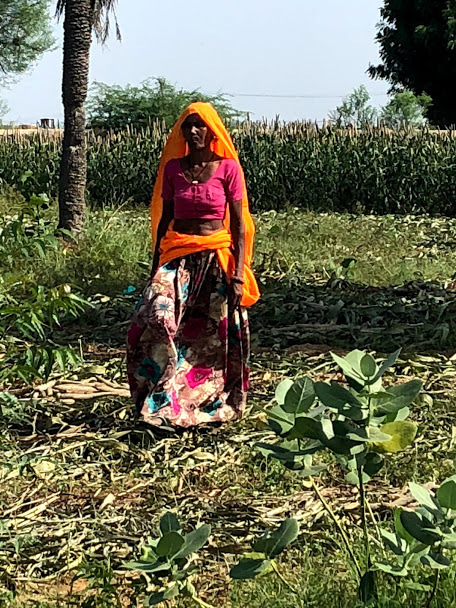 The drive is around 5 hours and so we stopped for lunch on route at an Organic retreat, Urmaid Lake Palace, Kalakho where after lunch we had a tour around their self sufficient farm and the community school they support. 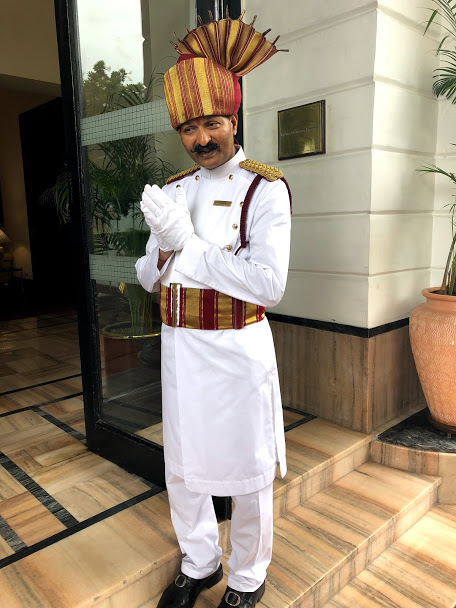 We checked in to the Trident Hotel this luxury hotel offers stunning views of the Mansagar Lake and Jal Mahal, the floating palace in the middle of the lake. 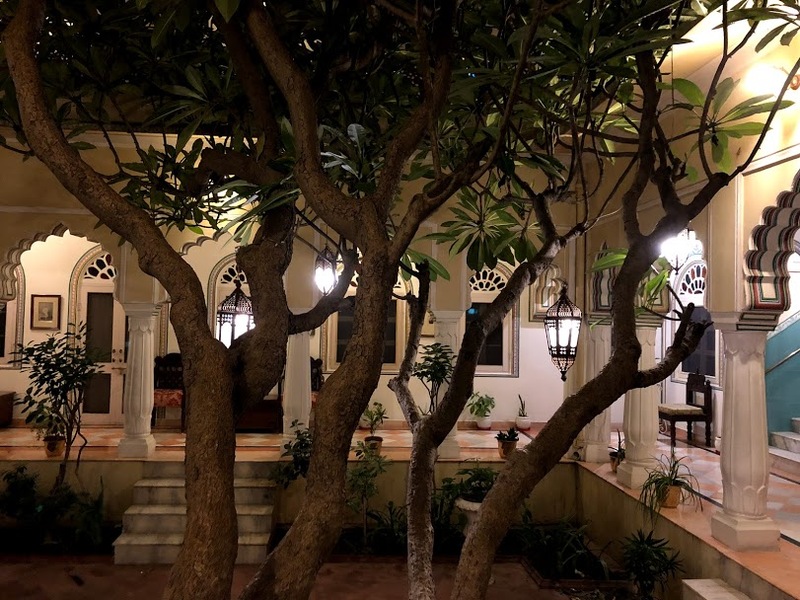 We had dinner that evening at Alsisar Haveli, this was a hidden gem, which opened up like an oasis when we walked through the huge wooden doors on the side of the road. 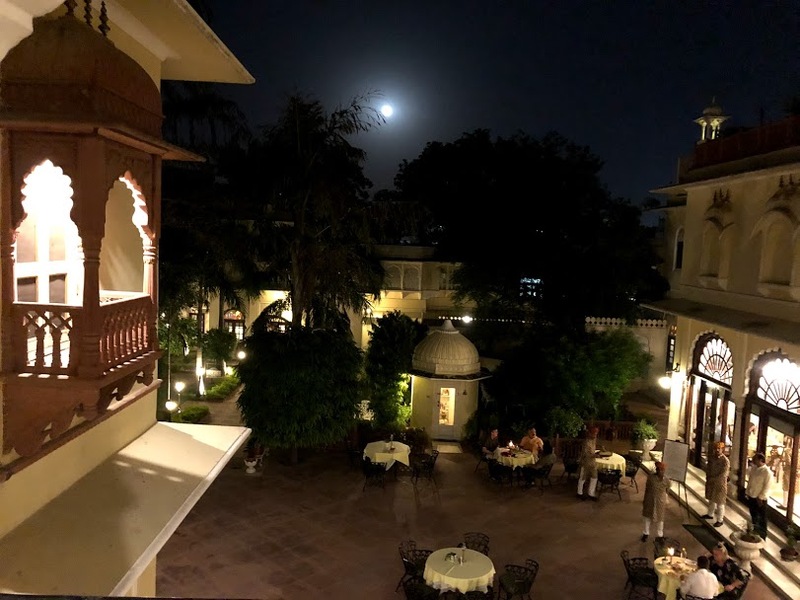 This stunning heritage hotel has played host to the Maharajas of Rajastan for over five centuries and you may even catch site of the current Royal Family there. 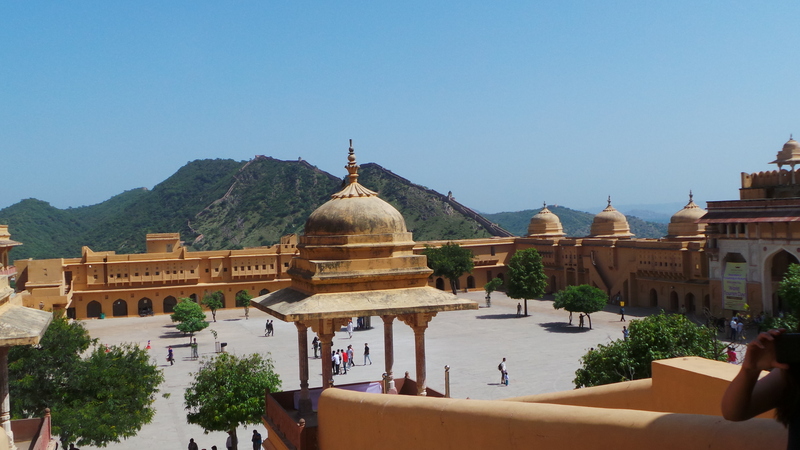 The next morning we headed to the Amer Fort, which is Jaipur’s biggest tourist attraction. 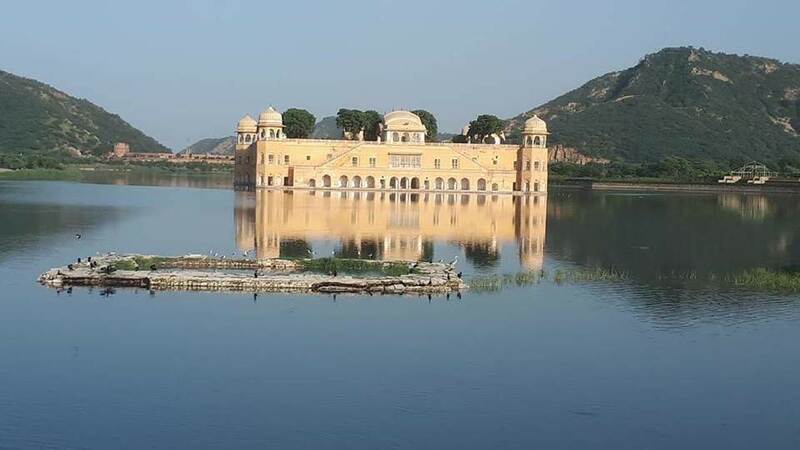 Set high on a hill the fort overlooks Maota Lake which used to be the forts main course of water. 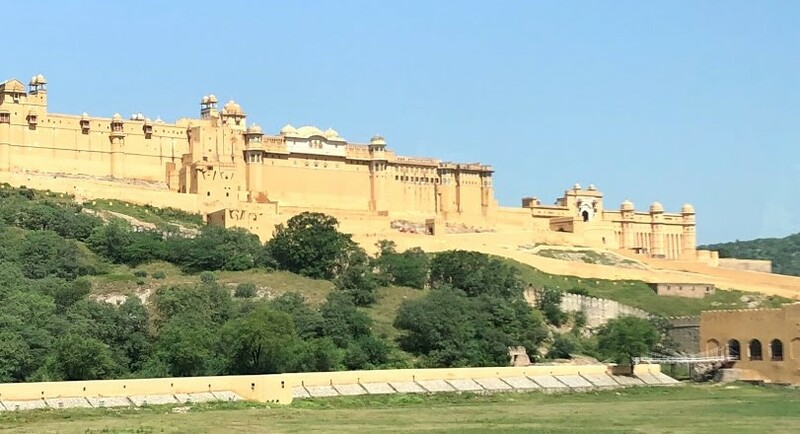 Built of red sandstone and marble, this opulent and impressive palace with its large ramparts, cobbled paths the palace is laid out over 4 separate levels. 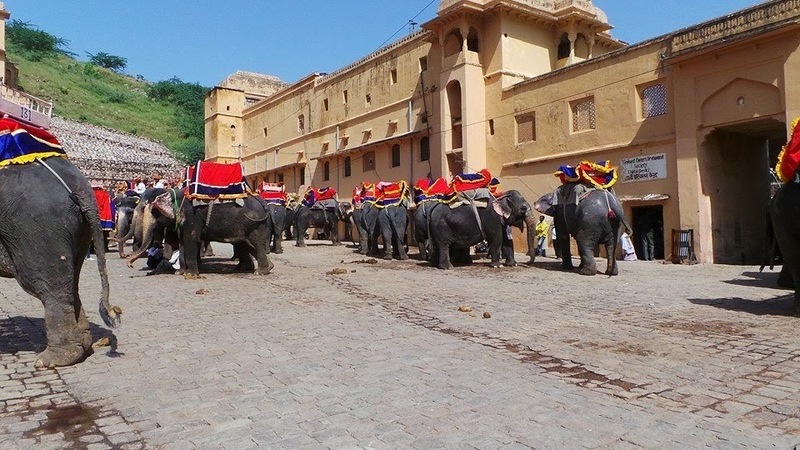 There is a choice of transport for visiting this fort, foot via a lot of stairs, jeep or elephant. We opted for the elephant ride. Lunch was at the Hilton Jaipur before we headed into the streets of Jaipur for a little retail therapy. 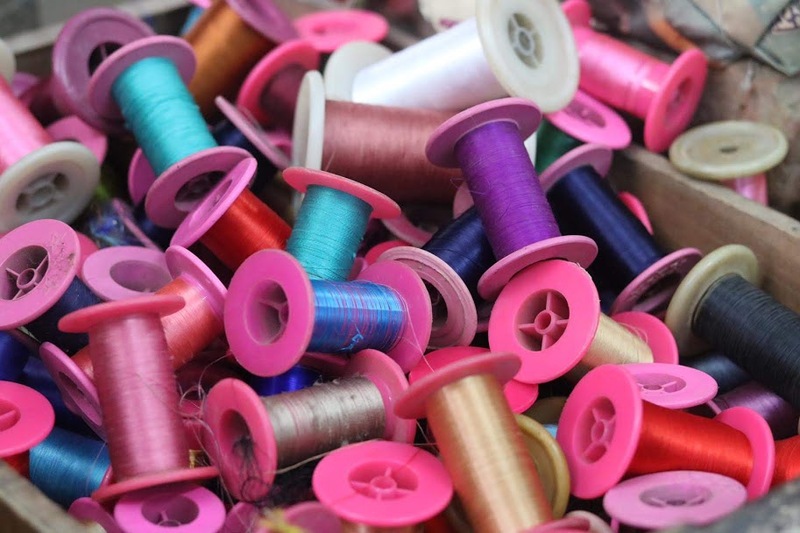 The idea when it comes to bartering is to go in at 50% of the price they are asking and then work your way up to a middle ground, when you work it out your actually bartering over 50p but they enjoy it and you come away with a few bargains to take home, we bought shoes, cotton bags and trousers and spices. 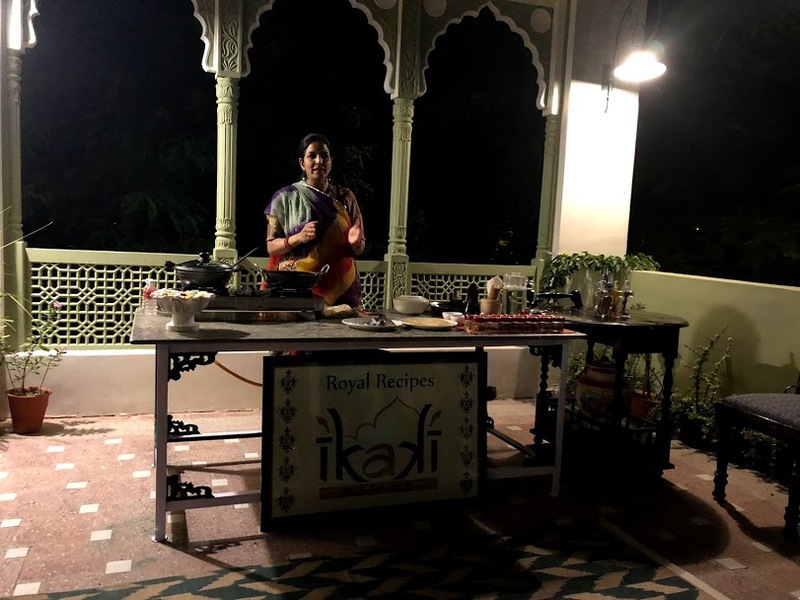 That evening we visited a local family home where they offer homestay experiences, Ikaki Niwas, has twelve rooms for guests and even offer cookery lessons so you can learn to cook an authentic Indian curry, you also really get to integrate with the family and we were talking about arranged marriages and family life. 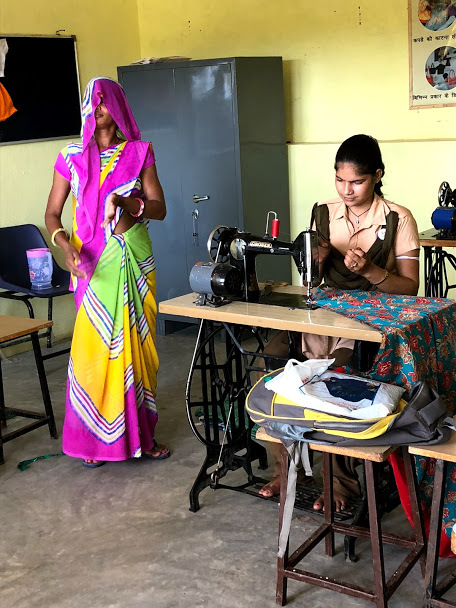 We checked in to the Rivats hotel and had breakfast before heading out to visit the local shops and a very old Silk Factory that has been making Bridal Saris’ and silks the same way by hand for 100’s of years. 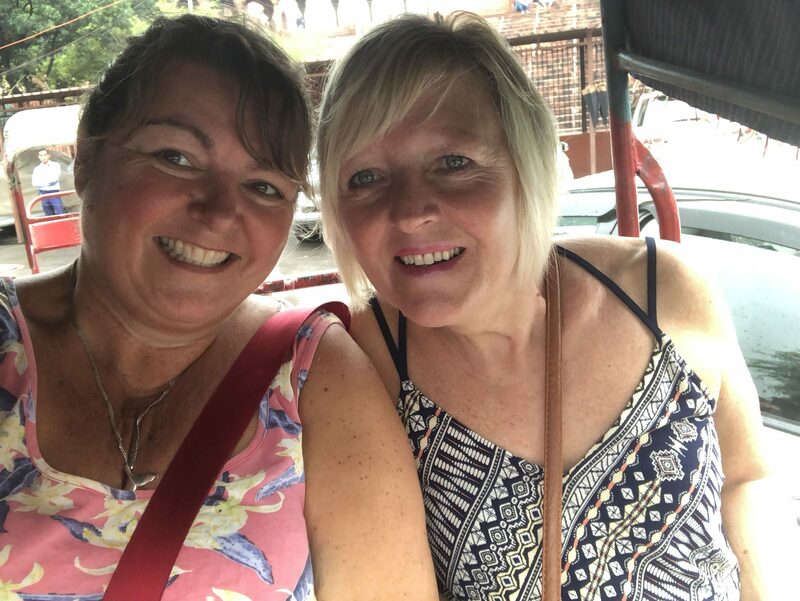 That afternoon we drove into the centre of Varanasi where we transferred to Rickshaws and made our way through the constant traffic towards the Ganges River. 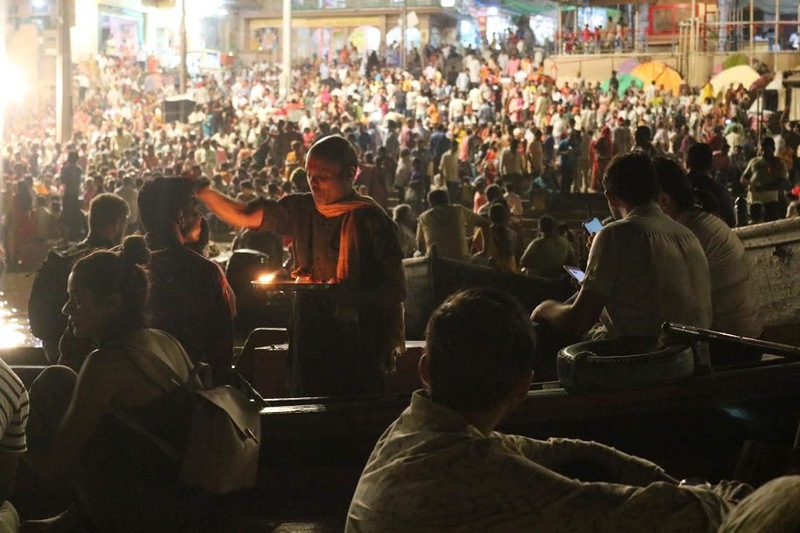 Varanasi is regarded as the spiritual capital of India and the city draws Hindu pilgrims who bathe in the Ganges River’s sacred waters and perform funeral rites, this happens every evening. It is also reported to be where Buddha is believed to have founded Buddhism. 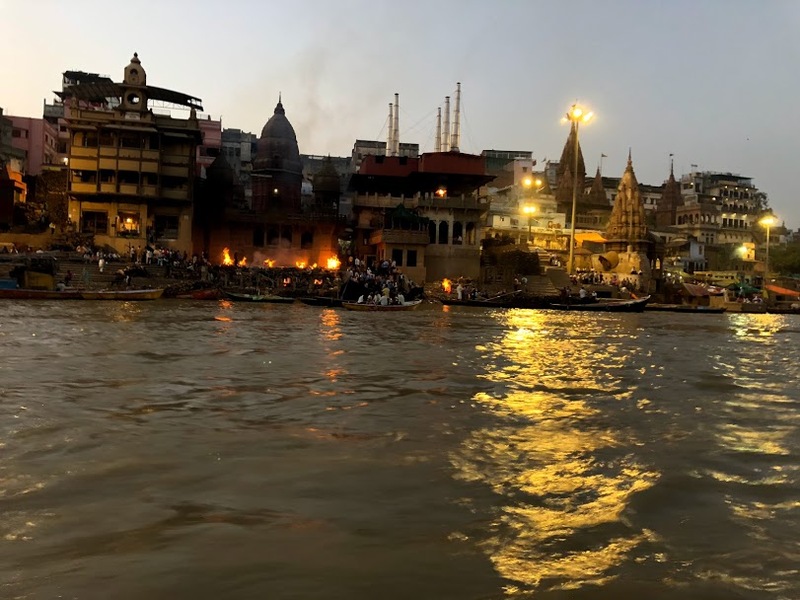 We boarded a boat and made our way along the river where we were able to witness the ceremonies at the ghats, where Hindus cremate their dead along the river bank. 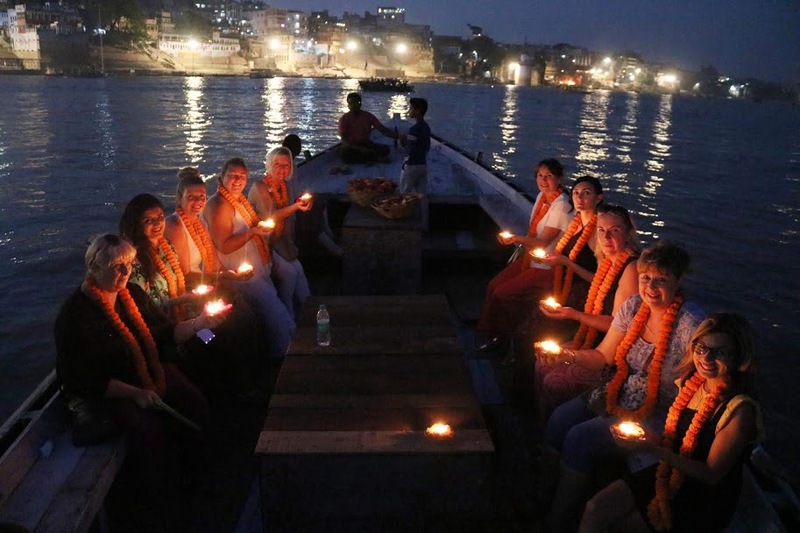 We also got to watch the beautiful and memorising Arti ceremony from the boat and dropped our own lit candles into the Ganges. 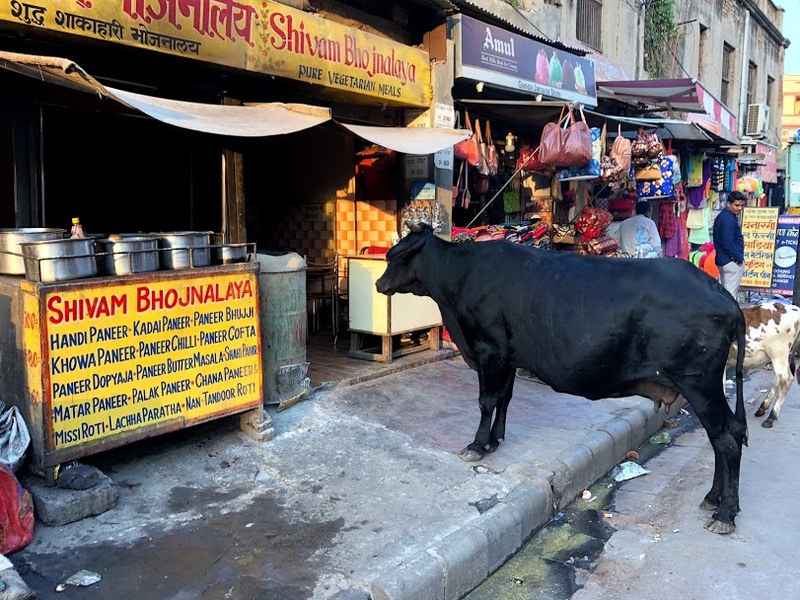 We had dinner at the Bashkara Palace and later walked through to the old alleys full of character, cows, dogs and people going about their daily life of Varanasi before heading back to our hotel.